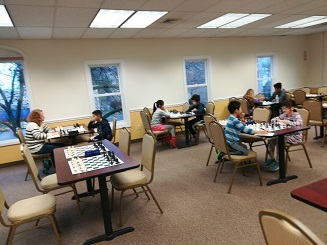 This Saturday’s G/45 Quads hosted 26 players. In the top quad FM Leif Pressman and NM Arslan Otchiyev tied for first place with 2.5 points each. Hanon Russell played flawlessly, winning all of his matches and placing first in quad two. 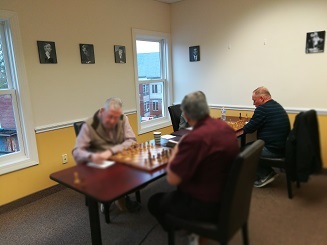 Aurelius Mlynar and Ann Song clinched first place in quad three and four, respectively -- each with 2.5 points; and in the fifth section, Frank Randazzo came out on top by the slightest of margins with 2/3. Finally, Andrew Zhong won all his games and placed first in the bottom swiss.